Buy the "Keep Your Eyes Ahead" Deluxe Edition Here! The Helio Sequence have reissued their landmark album Keep Your Eyes Ahead for it’s 10th anniversary as a Deluxe Edition available now through Sub Pop! The Deluxe Edition comes in CD, 2xLP housed in a double-wide embossed jacket with custom dust sleeves, and digital formats. The original 10-song effort includes a second full album of demos, alternate versions, and outtakes from the same era. The Deluxe Edition was remastered by The Helio Sequence at Helio Sound studio in their hometown of Portland, Oregon. 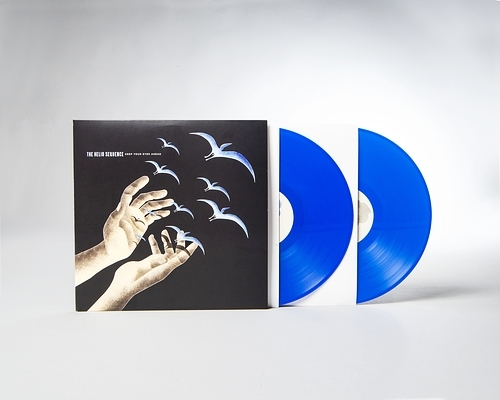 While supplies last, LP orders of Keep Your Eyes Ahead: Deluxe Edition through Sub Pop and select independent retailers will receive the Loser edition on blue vinyl! Copyright © 2019 The Helio Sequence. All Rights Reserved.